Too Mexican for Americans. Too American for Mexicans. In advance of the World Cup, I joined the ranks of the Dallas 'battalion' of Pancho Villa’s Army, the American fan club of Mexico’s national team. It’s a Tuesday evening in late March, cool enough for a sweater but just warm enough to feel comfortable without one. The sky has been gray and wet all day, alternating between steady, fine mist and pounding rain. It’s all enough to disrupt any semblance of midweek enthusiasm. And yet, inside Al-Amir—a Lebanese restaurant and club in Arlington—a group of friends, members of Pancho Villa’s Army, gathers hours before they’ll travel a few miles to AT&T Stadium. There, they’ll join tens of thousands more and cheer for what’s likely the most popular soccer team in the United States—the Mexican national team. Pancho Villa’s Army, or PVA, is a barra, or fan club, with thousands of members across the United States. Many of them travel the country to watch and cheer on their beloved Mexican team. At matches like tonight’s—a World Cup warm-up against Croatia—they scream and beat drums and wave Mexican and PVA flags, trying to intimidate, or at least distract, the opposition. Dressed in El Tri’s green, red, and white, most wear dog tags with the PVA logo on them. Some wear sombreros and large Mexican flags as capes. Others wear scarves around their necks that have “Pancho Villa’s Army” printed on one side. The other, if lined up perfectly, looks like a bandolier with a brown-and-tan version of their namesake’s face. Pancho Villa was a Mexican general and revolutionary with a conflicting history who’s increasingly remembered in mythic terms. To some (including some Mexicans), he was a ruthless opportunist. To others, Villa was a hero who fought against the United States’ influence within Mexico and reaffirmed a sense of national pride. Along with using Villa’s likeness as its logo, PVA structures its group like a military hierarchy—presumably based on Villa’s División del Norte, which at its peak was among the largest revolutionary armies to exist in Latin America. Every new PVA member begins as a soldado—soldier. The highest rank is general, a designation that belongs to Sergio Tristan, an Austin-based attorney who founded Pancho Villa’s Army in 2011. Members of PVA refer to Tristan as “El General” more often than they call him by name. At just about every Mexico game, you’ll find either El General or El Coronel—Rich Guel, second in command—dressed in the latest PVA t-shirts. Below them are captains, each charged with overseeing city chapters, or battalions, of which there are at least 35 spread across 14 states. Randy Diaz is PVA Dallas’ captain. With Jovany Alejo and Hector Valdez, his two right-hand men, he’s planned for tonight’s game for months. They’ve organized everything from where the before and after parties will take place to where traveling members of the PVA—some from as far away as Oakland—will stay. They’ll even make sure that everyone follows the group’s strict, nonviolent code of conduct. But for them and many others, joining PVA, even cheering for the Mexican national team, goes much deeper than watching soccer with friends. As Mexican-Americans, cheering for the Mexican national team instead of the United States has to be more than that. Like most members of PVA, Randy, Jovany, and Hector grew up watching Mexico play. They inherited their fandom from parents and relatives born in Mexico who then carried their passion for Mexican fútbol across the border. Jovany—a sergeant-at-arms in PVA and the only one of the three born in Mexico, though he grew up in the United States—sees the choice as simple. “I’ll always be Mexican,” he says while making it clear he’s grateful for every opportunity the United States has given him and his family. Everyone is grateful; no one here hates the United States. But neither are they blinded to its problems. Last year, North Texas—labeled by authorities as an “area of responsibility”—was among the areas with the highest percentage increase of ICE (Immigration and Customs Enforcement) arrests, spiking by 71 percent since 2016. The agency arrested more people in the Dallas area than anywhere else in the country. And as often happens, politics end up seeping into sports and affecting why and how people cheer. There’s a privilege in watching sports merely for entertainment. Despite their Mexican heritage and cheering for Mexico, members of PVA aren’t immune to common Mexican criticisms of Mexican-Americans. All three, along with many other members of PVA, traveled to Mexico City for a match last year. Incidentally, Mexico was playing the United States. And though each say people treated them well, at least in person, when Mexican websites featured articles on PVA, the comment sections made clear that Mexicans saw them differently. “They see us as pochos,” Randy says. A pocho is a slang term used by Mexicans to describe those who they share a heritage with but who they perceive as having lost part of their culture since moving to the United States. Essentially, a pocho is a Mexican who has become Americanized. They aren’t outright rejected but, instead, are considered something less than “authentic” Mexican. Authenticity is fluid with various definitions. Ask someone from Mexico City what being “Mexican” means and their answer will differ from one given by someone in the north, south, or coastal parts of the country. At the same time, each of their answers will probably include living in Mexico. Some within Mexico assume that because a group like PVA consists largely of Mexican-Americans, their fandom is not as pure. 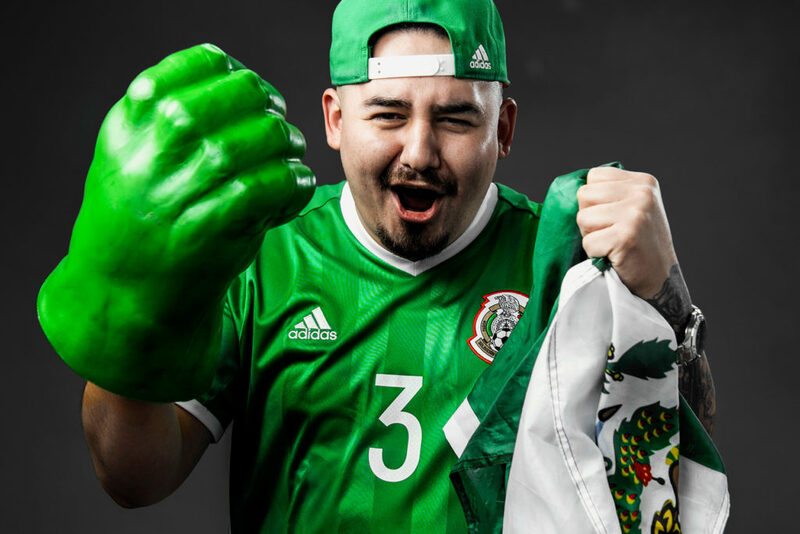 That, living on the north side of the U.S.-Mexico border, they cannot possibly comprehend what it’s like to live and die with the south side’s national team. That they are, somehow, shielded from feeling the disappointment and frustrations that are a part of cheering for Mexico’s fútbol team—a team with a passionate fan base despite never advancing past the third round of the World Cup. Further, Mexico always seems to lose in the most heartbreaking fashion. To suggest members of PVA don’t feel this agony is untrue. The latest instance of this Mexican heartbreak occurred during the last World Cup. Like all fans of Mexico, Randy, Hector, and Jovany vividly remember the team losing to the Netherlands on a horrible penalty call. Say “No era penal”—it wasn’t a penalty—and every fan of the Mexican national team will instantly know what you’re talking about. The phrase is equal parts declarative and mournful, and proof that, just like life, fútbol is unjust. For Mexico fans, anguish that leaves you in tears comes every four summers. Jovany and Hector sit silently, nodding in agreement. The latter breaks his silence and adds, “Growing up a Cowboys fan, you’re used to disappointment.” All three laugh as if it helps to ease the residual feelings of frustration. Back inside Al-Amir, each arriving member of PVA gets a warm greeting. They are friends even if they haven’t seen each other since the last Mexico game or even longer. When they meet again, they shake hands and hug, smile and laugh. Like an attentive host, Randy—wearing a red band with a white C for “captain” around his muscular left bicep—walks around making sure everyone and everything is fine. Both El General and El Coronel arrive and are immediately recognized. But even the newer, lesser-known soldados are friends with someone. That someone will, in turn, introduce them to other members of PVA and they’ll instantly bond. They all speak mostly in English, though if a phrase is better expressed in Spanish, they’ll effortlessly switch. It’s a kinship based on a common heritage and a love of Mexican fútbol, but it’s also one deeper than that. Some things need not be explicitly said. And as drinking loosens dancing legs and singing lungs, these bonds strengthen. Another soccer match, U.S. vs. Paraguay, plays on televisions behind the bar. If they even notice it, no one seems to care. Instead, everyone sings along as the DJ plays Christian Nodal’s “Adiós Amor”—a song about walking away from an unrequited love despite still adoring the one you are leaving. They sing with emotion, hard-earned from being intimately acquainted with sadness—apart from the one born out of loving the Mexican national team. These are, after all, the children of those who, in search of opportunity, left loved ones and their home country’s familiarity. That choice led to many being called traitors when in Mexico. And here in the United States, some of them get told to go back to their country. This is who they are and part of what bonds them: understanding what it’s like being too Mexican for Americans and too American for Mexicans. Identity is a messy, even contradictory, construction. It’s muddled further by the irrational passions of sport. 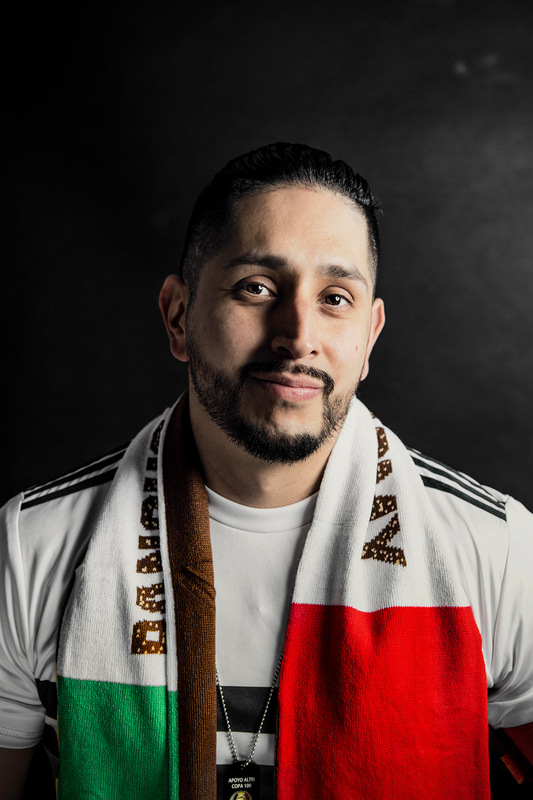 In fairness, there are fans of Mexican heritage that not only root for the United States national soccer team, but are members of the American Outlaws—a counterpart fan group to the PVA. But they aren’t here. By the time the game starts, optimism is naturally high despite many fans sitting inside AT&T Stadium with clothes wet from walking miles in the rain. The perfectly lined pitch, goal, and its netting all look especially white when contrasted against the green field and crowd where, again, green is the color that stands out. Most of the more than 79,000 in attendance are here to watch Mexico play. For 90 minutes, they’ll forget it’s raining outside. Perhaps, at least for the night, they’ll even forget whatever problems come from the current political climate: where they fit in, whether they feel welcomed, or—despite being born here—how they’ll respond the next time they’re told to go back to their country. In June, when the heat suffocates North Texas and the area longs for the cool and cloudy nights of early spring, Mexico will play in the World Cup. The games will matter. Maybe too much. Maybe with good reason. By the time the World Cup begins, the games may act as a welcome distraction from continuing ICE arrests or, perhaps, even the beginning phases of the United States constructing a wall along its southern border. If the history of Mexican soccer teaches us anything, it is this: there will be a game where the team looks better than expected. A game where even the most realistic will allow themselves to dream. They’ll imagine a summer that they, along with every other fan of Mexican soccer, north and south of the U.S.-Mexico border, will always remember. They’ll imagine this is the year when euphoria, rather than heartbreak, will mark the summer months. Before each game, just like at AT&T Stadium, they will sing loudly when the Mexican national anthem plays, all of them dreamers in some capacity. Some will sing to the point of tears. And for those few minutes, they will forget, or ignore, that eventually Mexico will break our hearts.